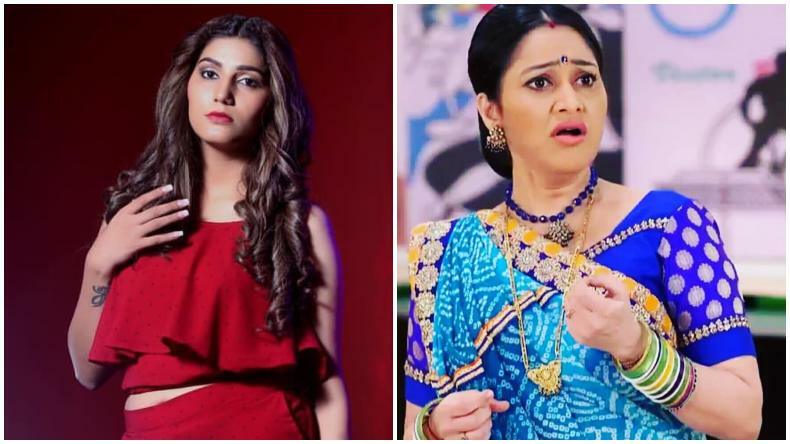 Sapna Choudhary copies Daya Ben from Taarak Mehta Ka Ooltah Chashmah: In the funny video shared by Sapna Choudhary, she can be seen wearing a green suit and lip-syncing to Disha Vakani aka Daya Ben's dialogue from comedy television show Taarak Mehta Ka Ooltah Chashmah. Sapna made her Bollywood debut this year with Dosti Ke Side Effects, however, the movie didnt do well at the box office. Sapna Choudhary copies Daya Ben from Taarak Mehta Ka Ooltah Chashmah: Anarkali of Haryana Sapna Choudhary, who is known for her dance has once again taken social media by storm with her entertaining videos! In the recent video shared by the diva, she can be seen lip-syncing to Disha Vakani aka Daya Ben’s dialogue from comedy television show Taarak Mehta Ka Ooltah Chashmah. The hilarious video of Sapna Choudhary has garnered thousands of views and the count seems unstoppable! Sapna Choudhary recently made her Bollywood debut this year with Dosti Ke Side Effectss. The movie, however, didn’t do well at the box office but the songs ranked very high in blockbuster hits. The movie Dosti Ke Side Effectss also featured soap opera stars Zuber K Khan, Vikrant Anand, Anju Jadhav and Neel Motwani in lead roles. Some of the songs from the movie are Tring Tring and Mood Bana Lo which have crossed millions of views on the video sharing platform YouTube. Some of the popular Bhojpuri songs of the diva are Teri AAkhya Ka Yo Kajal, Chori 96, Ram Ki Su, Billori Akh, among various others. And Bollywood songs are Tere Thumke, Nanu Ki Jaanu, and Hatt Ja Tau.